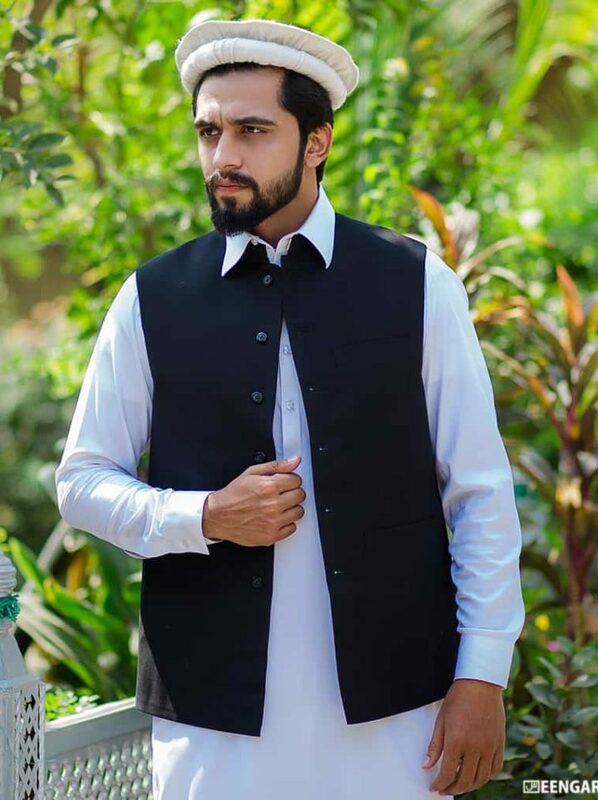 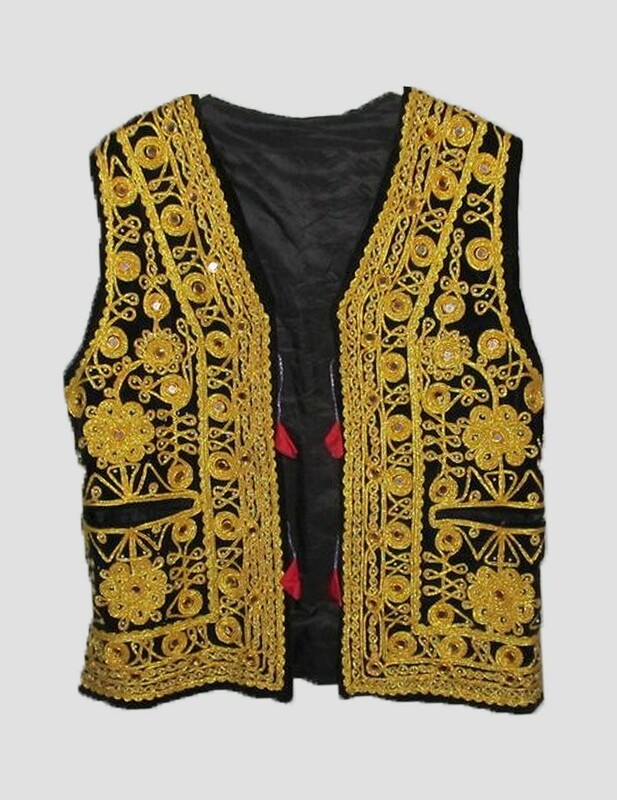 Afghan Classic Embroidered Vest also known as Sadri is an unusual velvet mirror waistcoat. 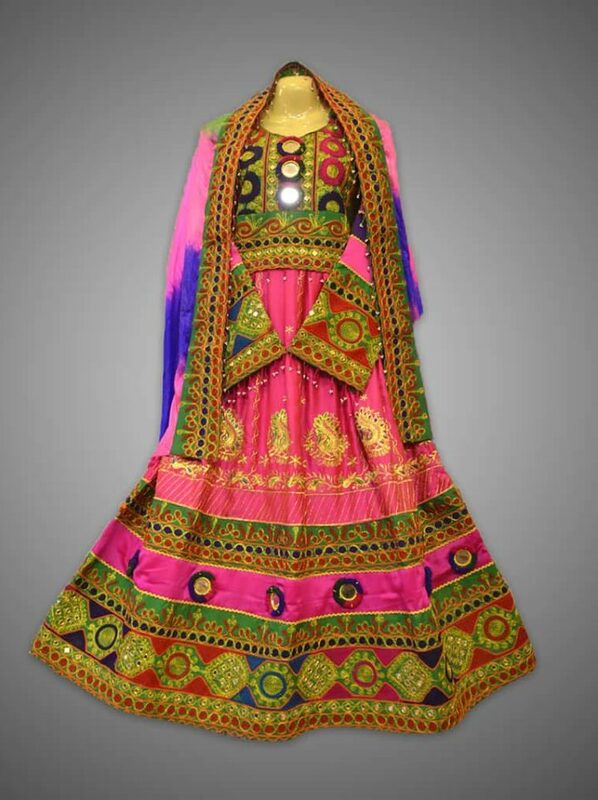 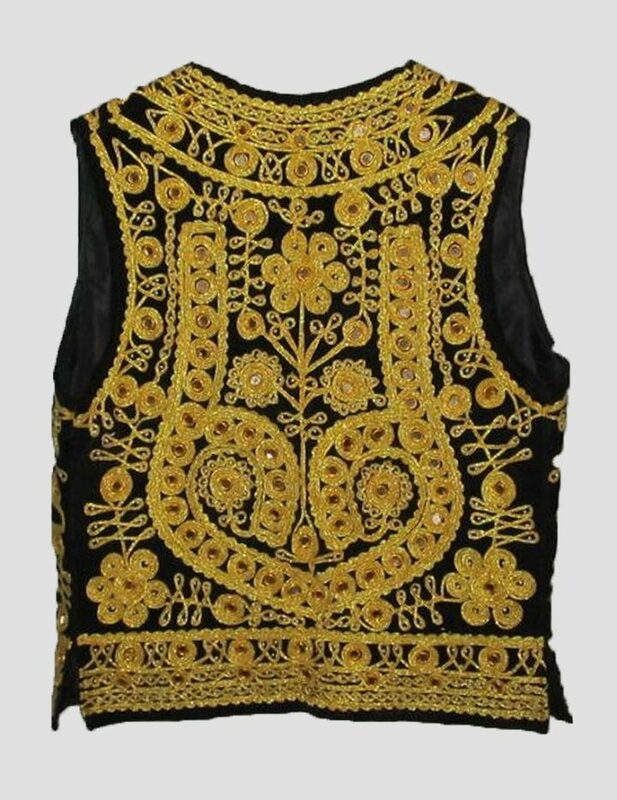 It has a mirror and golden color embroidery work on a black velvet which makes is best for festivals and cultural events. 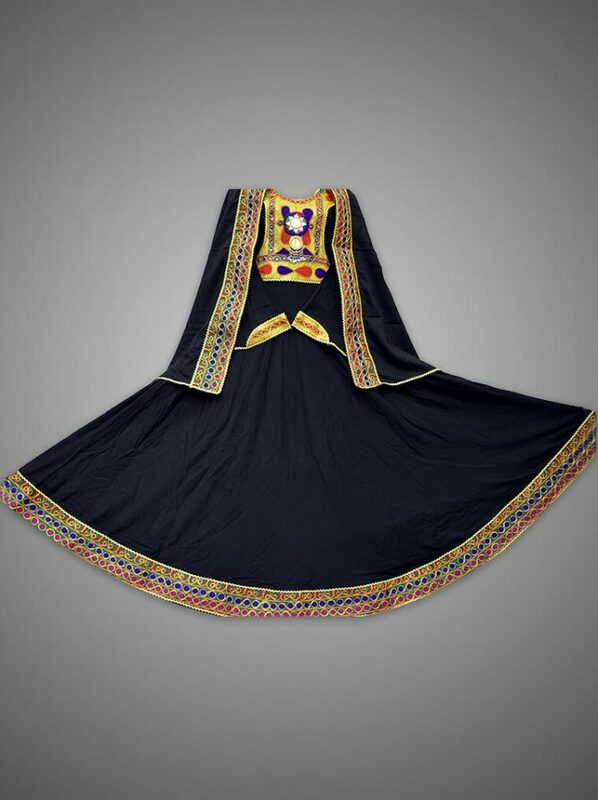 It is widely used by the performers for Attan, Khattak Dance or any other cultural event. 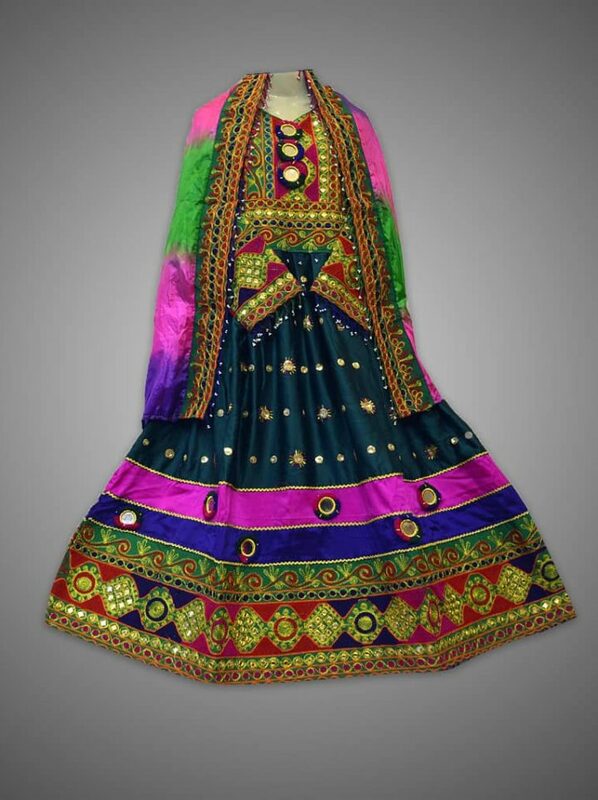 Some of them have tassel ties and others do not.